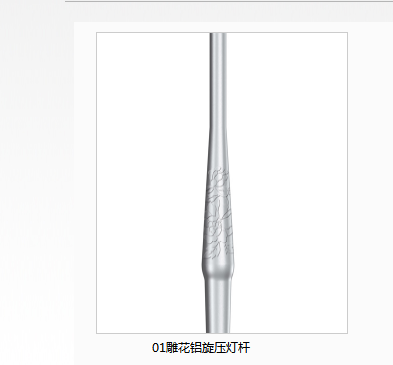 Aluminum Alloy Spinning Lighting Pole.The aluminum alloy lamp pole USES the foreign advanced rotary press equipment, USES the non-core full numerical control technology manufacture.The product will never rust.The diversified surface treatment technology makes the appearance line simple and smooth.The new lamp pole makes up for the shortcomings of the traditional lamp pole, such as easy rust, single style, rough surface, high mould opening fee and non-environmental protection, and is widely used in European and American countries.At present, we can not only produce regular styles, but also design and produce according to customers' specific requirements.It has a whole set of pipeline equipment from raw material processing, rod body forming, strength treatment and surface treatment.Aluminum Alloy Spinning Lighting Pole,Lightest Aluminum Alloy,Aluminum Alloy Torchlight,Lightweight Aluminum AlloyThe rod body is not welded, and the whole body is formed in one time.Carved aluminum alloy rotary pressure lamp pole, it is new to carve patterns on lamp pole, make smooth lamp pole more beautiful above, also feel have appreciation value more. 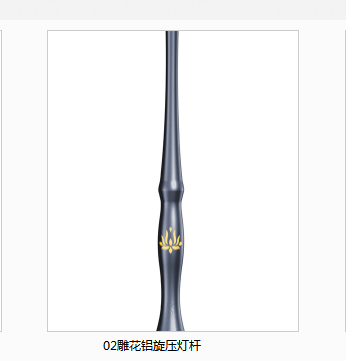 We've been committed to offering easy,time-saving and money-saving one-stop purchasing service of consumer for Carved Aluminum Screw Lamp Rod Series. The product will supply to all over the world, such as: Romania,Vietnam,Benin. Adhering to the principle of "Enterprising and Truth-Seeking Preciseness and Unity" with technology as the core our company continues to innovate dedicated to providing you with the highest cost-effective goods and meticulous after-sales service. We firmly believe that: we have been outstanding as we've been specialized.